Hypertension-induced mortality and morbidity are produced through the impact of increased blood pressure (BP) on the heart and other target organs. Evaluation of early damage (TOD) in these target organs is an important step in a risk stratification strategy to reduce cardiovascular and renal events. 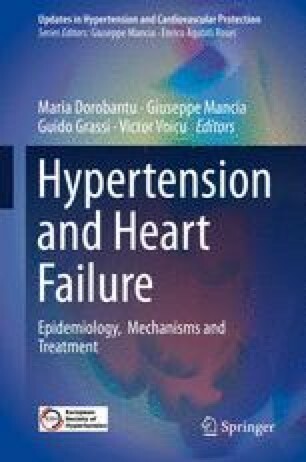 Maladaptation of the heart in response to chronic hypertension is often associated with deleterious disorders, including cardiac fibrosis, chronic inflammatory response, and cardiac dysfunction, leading to heart failure, which remains to be a leading cause of mortality and morbidity around the world. Among a panel of TOD included in the 2013 guidelines and based on availability, cost, and clinical significance, the evaluation of left ventricular hypertrophy (LVH) by electrocardiography and, possibly, the assessment of left ventricular mass by echocardiography are among the minimal recommended, in addition to urinary albumin excretion and glomerular filtration rate. Other cardiac structural alterations, such as left atrial enlargement, may have a clinical relevance. The regression of LVH occurring during treatment reflects the treatment-induced reduction of morbid and fatal CV events, thereby offering valuable information on whether patients are more or less effectively protected by the target BP achieved and by the treatment strategies adopted. In the future precise targets to treat pathologic cardiac hypertrophy and heart failure more effectively are warranted.